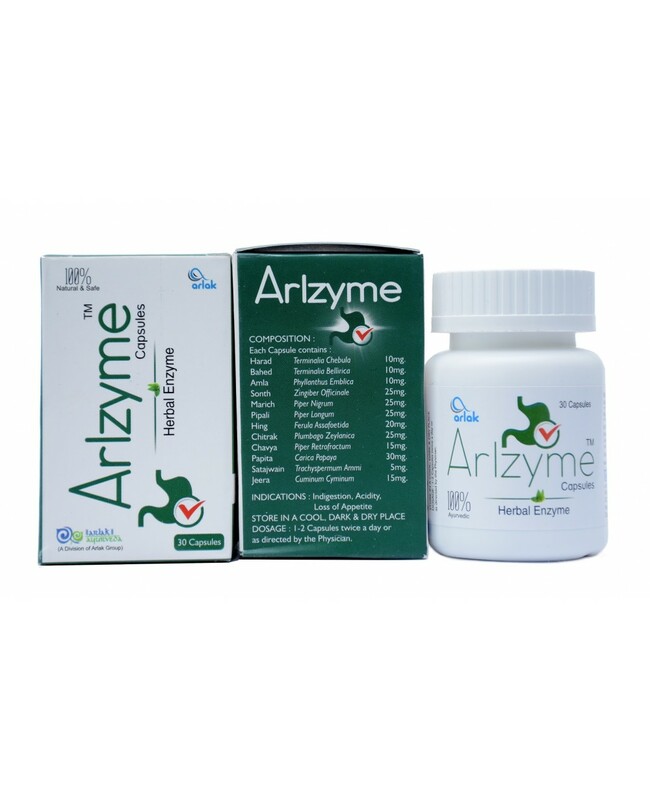 Looking to get rid of all the acidity, indigestion and loss of appetite problems with Arlak's new revolutionize product named Arlak Arlzyme Capsules. It consists of the ingredients like Harad, Baheda, Amla, Sonth, Marich, Pipali, Hing, Chitrak, Chavya, Papita, Satajwain, Jeera that helps in treating all the digestion problems. 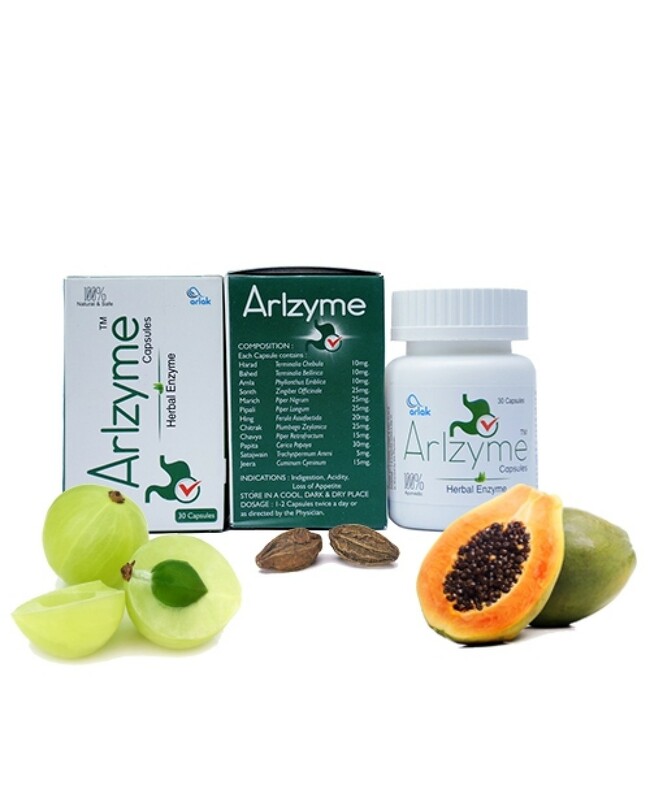 This ingredient consists of the properties which help in treating the digestion and also helps in preventing in future. Baheda consists of sitosterol, egalic acid, galic acid, Galloyl glucose, and other fruits components that have antibacterial properties and helps in fighting against various infections. Treat all types acidity problems. In order to get best results, You have to use one capsule twice a day just after taking your meals. Either on breakfast, lunch or dinner.